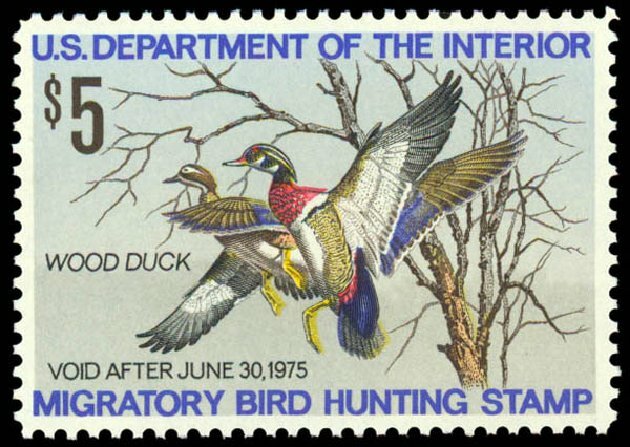 Hunting Permit, 1974, $5 Wood Ducks (Scott RW41), o.g., never hinged, perfect little GEM with unusually large margins for this issue, an incredibly choice stamp that is really hard to find in this quality, Superb, 2007 P.S.E. certificate graded SUP-98 (1 of 37 at this grade, with only 5 others grading higher). SMQ $160 in the grade of SUP-98. Scott $20. Estimate $100 – 150.